The reigning, defending, undisputed World Wrestling Entertainment champion, Brock Lesnar has re-signed with the company last night. The Beast Incarnate made the announcement to the world in an interview with Michelle Beadle on SportsCenter Tuesday afternoon. With this announcement no one knows what the finish will be in his match with Roman Reigns this Sunday as they will face each other in the main event at WrestleMania. You can view the event on the WWE network for only $9.99. The 37-year-old also announced that he was retiring from MMA and the UFC. BUSINESS JUST PICKED UP!!! 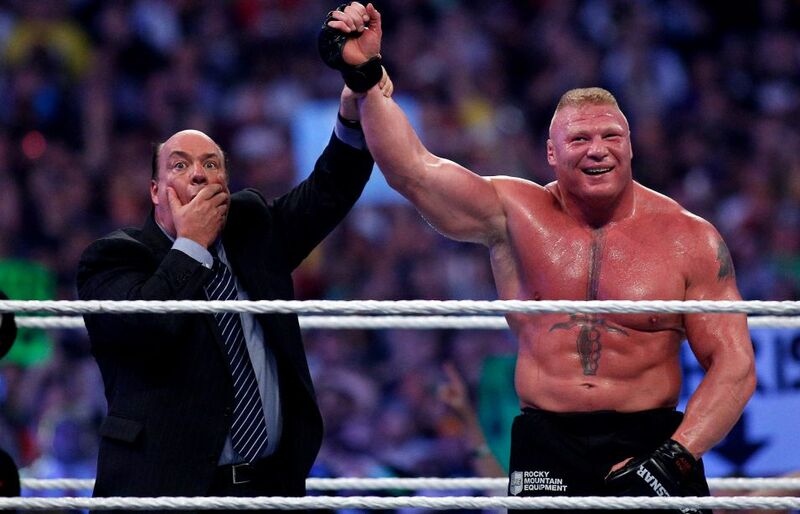 @BrockLesnar IS STAYING WITH @WWE !!! HUGE NEWS: Brock Lesnar announces just now that he is done with UFC/MMA and his legacy in WWE is not ending at WrestleMania 31 this Sunday. Couldn’t be happier to hear the Brock Lesnar news. Now let’s hope he retains at #WrestleMania.